For frames with a diameter of Ø 26, Ø 28. For head Ø 22, Ø 25 mm. 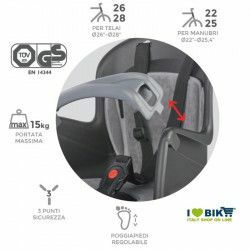 Bicycle front seat for children up to 15 kg, fixed to the frame by metal brackets easy to install. Seat belts adjustable in length with 3-point hitch. 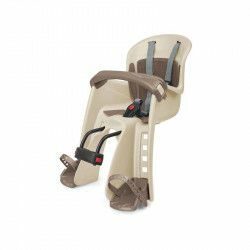 Straps and adjustable footrests on length and height.